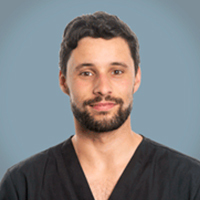 Ricardo graduated in Lisbon in 2012, and then started to work in an oncological referral centre in Lisbon, where he became the main anaesthetist, due to his special interest in this area of veterinary medicine. During this time he also visited the anaesthesia department of a small animal hospital in the University of Glasgow, three times for the past three years. He moved to the UK in May 2018 to join to SCVS as an intern in anaesthesia.